My friend Dr. Grant Woods, one of the top whitetail scientists in the world, recently produced a must-watch video with some new observations about deer jumping the bow string. Grant worked with an engineer and avid bowhunter who devised a computerized device to record the sound of a bow going off, test the speed of gravity, etc. Sounds complex, but when you watch and listen to the video it’s much clearer. When a bow goes off and a deer hears it, many of them instinctively drop toward the ground, but some do not. Some old advice is still good advice—aim at the lower third of a deer’s vitals on every shot. Deer drops, you get middle or high lungs. Deer does not drop, your arrow pierces lower lungs and heart. 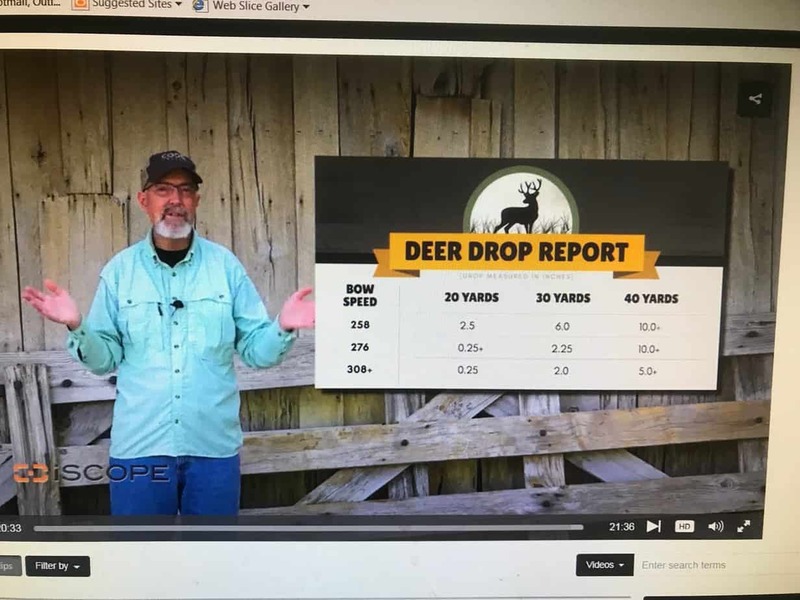 With their shot tests in this study driving home the point how much a deer might drop—maybe 6 inches to more than 10 inches at 40 yards—Grant and colleagues studied the demeanor and position of deer that ducked the string on the hunting videos. They noticed that alert deer (pressured, sense something is not right, etc.) are much more likely to drop at the bow shot than a calm deer. It’s always best to shoot at a deer that appears calm and unaware of your presence. This is new and major: Grant noticed that a deer with its head down tends to drop more and faster than a deer with its head up. The theory is that with its head down, a deer can easily drop its front end, then throw his head up in a flash as it wheels and bolts away. This happens so often that Grant will now try to avoid shots at deer with their head down. With the data and observation driving home how much a deer might drop, Grant says he will now be re-evaluating his shots at whitetails. He goes so far as to say he hopes to keep most shots 20 yards and under, and will carefully evaluate 30-yard shots. He says a hunter has to be extremely careful about taking a 40-yard shot, and now he’ll likely pass at that distance. This entry was posted in Big Bucks, Big Deer TV, BigDeer, Bowhunting, Deer Hunting by admin. Bookmark the permalink. This is great stuff. Makes sense and I agree with all of it. Especially coming from a guy like Dr. Woods. Being a trad hunter I don’t have much to worry about with distance usually being within the 20 yard variety, but a great lesson to pass along to my son who will probably take his first hunt with a compound.